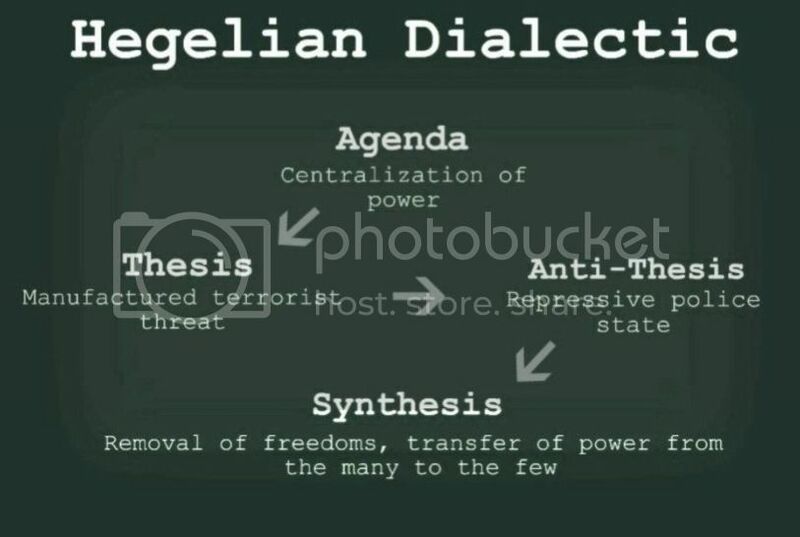 For example when people are talking about 2 political parties, Labor or Liberal, what they’re actually referring to, without realising it, is the thesis and the antithesis based off the Hegelian Dialectic. The only real debate that occurs is just the minor differences between those two parties. Nothing is said or done about the issues that neither left or right is discussing. This in particular will become more apparent as the election draws near. In order to avoid falling victim to the Hegelian Dialectic from now on you must remember the process involved. Anytime a major problem or issue arises in society think about who will gain or profit from it. Then remove yourself from the equation and take a step back to look at it from a third party perspective. See the so-called “problem”, look at who is reacting, why and in what way. Then look for who is offering up the solution. When you do this from now on you’ll quickly see the real truth instead of the false truth they wanted you to see.